Weigh Down Giveaway! Awesome Giveaway! You are here: Home / Great Deals / Weigh Down Giveaway! Awesome Giveaway! I hope you all aren’t bored with my being sick saga! Lord knows I have been pretty bored! I have been in bed for about 6 weeks now, not able to walk – really not fun! If you didn’t know about what happened you can read about it in my post “Back To Work“. While I have been flat on my back, I have been dieting. So, obviously that means no exercising, actually that’s what this diet is all about! That was one thing that drew me to it! 🙂 Before I had my foot surgery, my primary care Dr. did my pre-surgery bloodwork and said Lose Weight! The night before he called and said that, I ran into an old friend, Susan, and she told me she had lost about 20 lbs with no exercise! Love that! I know, I know, I will have to exercise to be healthy, but, I knew I was going to be laid up for quite a while and then in physical therapy, so no exercise was something I liked! She told me the name of the program she was using, and after my husband and I went dinner that night we stopped by the bookstore for a little browsing and a cappuccino. I found the book outlining the diet and began to read it, I could not put it down! I kept interrupting my husband’s reading to read to him from my book! My husband bought the book for me before we left. I started the very next day implementing the steps and instruction from the book. I have been on this “diet” (cause it’s like no other) for almost 6 weeks now and last week when I went to the Dr. he weighed me and said I had lost 16 lbs! In bed, on my back, not moving! 16 lbs! I was thrilled, my husband and daughter had been commenting that they could see my stomach was flatter and my face was less full, but I don’t have any scales (part of the weight gain problem to begin with! lol), so I had to wait for the Dr. to tell me. He was happy, I’m happy, and it’s not hard, it’s not uncomfortable, it’s easy, I have found it to be very easy, exactly as my friend, Susan, had said it would be! In fact, I am so thrilled, that I contacted the author and asked if she would let me do a giveaway and she graciously is allowing me to giveaway a book and an at-home kit! the Weigh Down Diet is so easy, as I already mentioned, but don’t discount it because of that fact. I read the book, visited the website, saw many testimonials and I myself am one! One of the biggest draws for me was the fact that the people who have done this and succeeded have KEPT the weight off for 20 years and more!! That’s HUGE to me. I LOVE The Biggest Loser, and even some of them gain it all back! The giveaway ended. 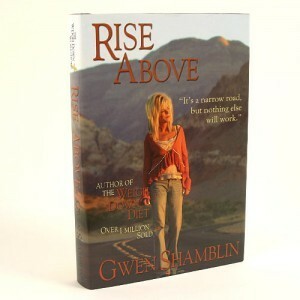 So, here is your chance to win: A Weigh Down At-Home Kit & A Rise Above Book! For the first and mandatory entry: Go to the Weigh Down Website and check out the testimonials section and come back and comment on which one was your favorite! LEAVE YOUR EMAIL ADDRESS so I can notify you , if you win! 2nd entry – Become a fan of Grocery Shop For FREE on Facebook, just click the Become A Fan button on the left side of this page or go to the Grocery Shop For FREE Fanpage and become a fan. Then comment and tell me you did. 3rd entry – Share this giveaway on Facebook and leave a comment telling me you did. 4th entry – Follow GroceryShopFREE on Twitter and Tweet about this giveaway, then comment and leave the link where you tweeted in your comment. To follow me just click on the Twitter icon on the top right of this page (the little blue bird). 5th entry – email 5 people about this giveaway (please cc me on this email – [email protected] and leave a comment saying you sent the email) 6th entry – grab my button for your site (leave the link to where the button is in the comment) you can grab my button on the left side of this screen. 7th entry – add the link to this giveaway on a Mr. Linky about giveaways or on a blog giveaway site, blog carnival or forum or yahoo group (leave link to where you did this in the comment). 8th entry – Subscribe to the Grocery Shop For FREE email feed, just click: Get Dian’s Daily Deals In Your Email Everyday! on the left side of this page. That should give you plenty of ways to enter! You MUST do the first entry and then additional entries are governed by the terms above. You MUST comment for each entry you are able to make. This giveaway is open to U.S. residents only, 18 years old or over, and the winners will be chosen by random.org. This giveaway will end until January 21 at 12:01 am Central time and a winner will be announced soon thereafter. If the winner does not respond to my email within 48 hours then I will pick a new winner. Good luck! Read all about my journey and how I lost over 100 lbs. WOW! I loved Maggie Sorrells testimony. She was so honest and you could tell she was revealed to have the weight of so many burdens lifted from her life. I am already a fan, tweeted, shared on facebook before I knew it was a way to enter, already subscribe, have a button, and I don’t know how to use MrLinky yet but I am getting on that right now! LOL! Good Luck! I’m glad you entered! .-= Dian´s last blog ..Weigh Down Giveaway! Awesome Giveaway! =-. Dian, please enter me in your contest. I went to the site and bookmarked it. I read quite a few of the testimonials but I liked Andy Sorrells Testimony the most. He lost 247lbs. I myself have over 200lbs to lose. I just started back to Weightwatchers but I truly believe that my faith and the support of my new church family will finally help me get success. One of my committments to myself is that I pledge to give myself at least 5 years to lose the weight. It took 40 years for me to get to this weight and I cannot change my mindset and emotions about my horrible relationship with food overnight. I would like to ask you and others for your prayers. I am so proud that you have taken that step to get healthy! I absolutely will pray for you and the journey you have committed to, you can definitely do it! I am so glad to hear that you have the support you feel you will need. .-= Dian´s last blog ..Coupon Preview 1/17/10 =-. She def. is relatable to my situation. I need to lose a good 65+ lbs. just like she did. Well good luck, then, Savannah! Thanks for entering! .-= Dian´s last blog ..Trade Old Electronics For Amazon Gift Cards! =-. Andy and Maggie’s testimony is inspiring, but so is everyone elses! 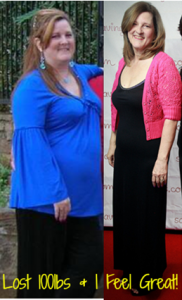 I know I NEED to lose at least 40lbs, which doesn’t seem like much compared to those who testified…….I feel like, if they can do it, I certainly can too. You can, when I told the Dr. how I was losing the weight and what the book, said, he said “It’s just that easy.”, he said it was ridiculous how hard we have made losing weight. .-= Dian´s last blog ..Walgreens 1/17 – 1/23 =-. I would love a copy of this. I ready to get off the diet rollercoaster. Aren’t we all! Just make sure to read all of the ways you can enter and follow the directions to be eligible. I like Ashley Ellis’s testimony the best. .-= Dian´s last blog ..FREE Portrait Calendar From Sears Worth $44.98 AND No Sitting Fees! =-. Ashley had my favorite comments.